Three images from my Night's Quiet Light collection were juried into an exhibition in Vermont. I'm very pleased that three of my images were selected by Juror Lance Keimig into the "Night Photography: Dusk to Dawn" exhibit. The gallery exhibition will be from November 30th to December 29th, 2016 in the PhotoPlace Gallery at 3 Park Street in Middlebury, Vermont. The exhibition consists of physical and online exhibit components. 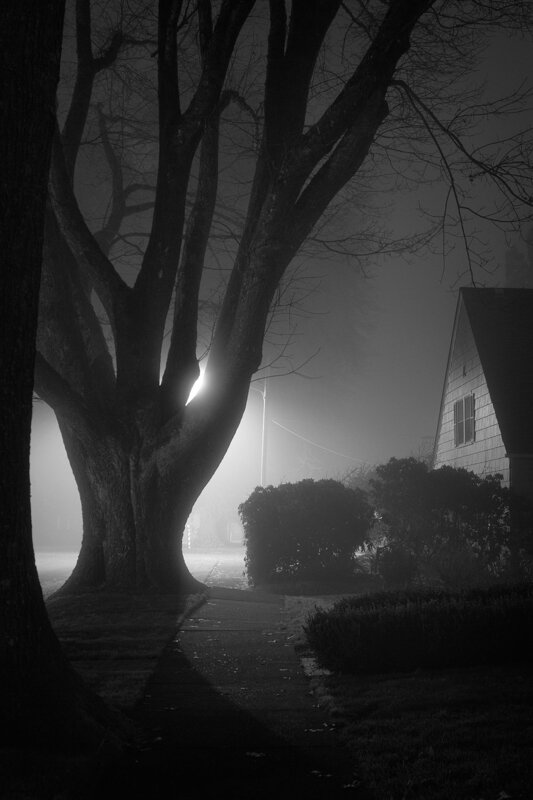 "Fog Bow Tree" (above) was selected for the physical gallery exhibition, while "Back Alley Staircase" and "Transpiration" were placed in the online exhibit. Both exhibits are available online here, and contain many fine night photographs.